West Coast Offshore carries all the Vantage View Series Marine/Boat Livorsi Gauges including Vantage View Series Livorsi Tachometers, Vantage View Series Livorsi Slave Gauges, and Vantage View Four-Function Livorsi Gauges. Picture a dash that gives you total view of your boat’s performance. 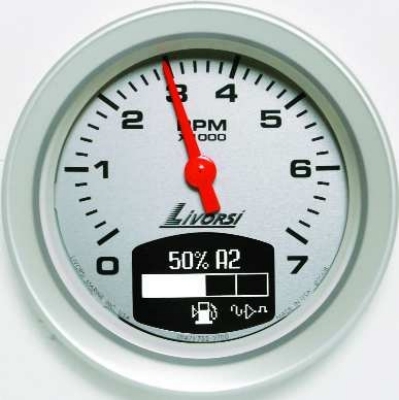 The Vantage View Livorsi Gauge Series does exactly that. Vantage View Livorsi Gauges display performance information in real-time and combine the data into one gauge - the master tachometer. Vantage View tachometers feature analog RPM readout along with all the information your engine’s ECM provides displayed on a built-in LCD screen. 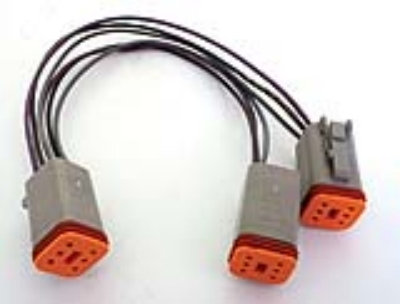 Simple installation of the Vantage View Livorsi Gauges is achieved with the use of a Deutsch connector plug-in harness. The master tachometer and its master harness wire directly to the boat’s ECM which eliminates the need for a translation box or oversized harness. Choice of control pods, bezel pods or switch assemblies allow do-it-yourselfers the freedom to install the pod or switches in a place convenient for the operator. 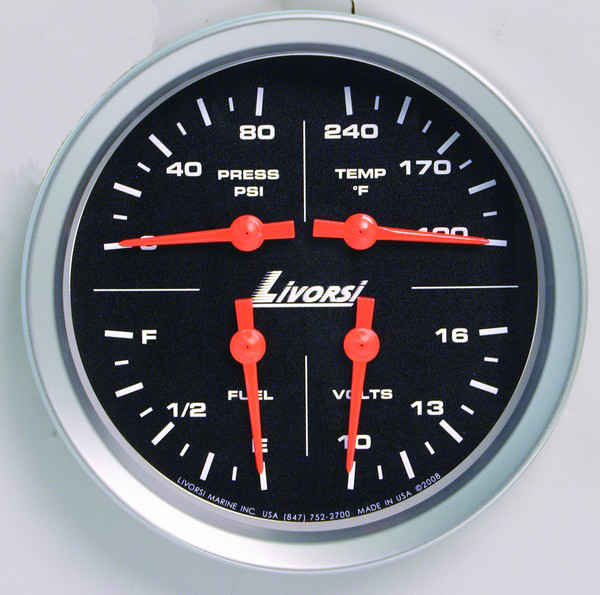 Vantage View Livorsi Gauge instruments are digital but were designed with the traditional stylings of other standard analog gauges. Digital stepper motors display data in accurate real-time. Fluorescent pointers and large bold graphics make these gauges easy to ready at a glance. 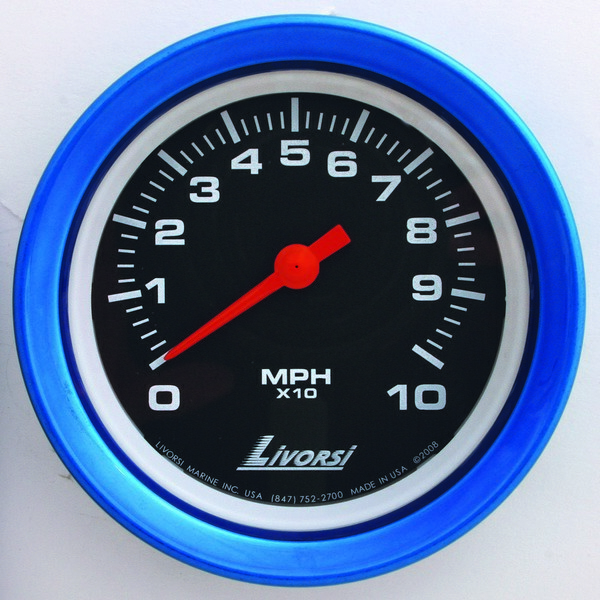 Vantage View Livorsi Gauges give you a thorough view of your boats performance, the freedom to custom design your boat’s console with several color options, plus easy stress-free installation! Vantage View Gauges are compatible with SmartCraft, NMEA 2000, J1939 or GM MEFI engines. West Coast Offshore carries all the Livorsi Vantage View Series Boat Tachometers. West Coast Offshore carries all the Livorsi Vantage View Series Boat Slave Gauges including Speedometer Slave Gauges, Boost Slave Gauges, Fuel Level Slave Gauges, Oil Level Slave Gauges, Oil Pressure Slave Gauges, Oil Temperature Slave Gauges, Trim Drive Slave Gauges, Volts Slave Gauges, Water Pressure Slave Gauges, Water Temperature, and Pod Assemblies. West Coast Offshore carries all the Livorsi Vantage View Series Boat Four-Function Gauges. West Coast Offshore carries all the Livorsi Vantage View Series Boat Gauge Harnesses and Accessories including Switch Assemblies, Transducers, Master Harnesses, and Slave Harnesses.